Over 2 Hrs of Video Content! CV or Check Valve Dripline (9:02) Free Preview! 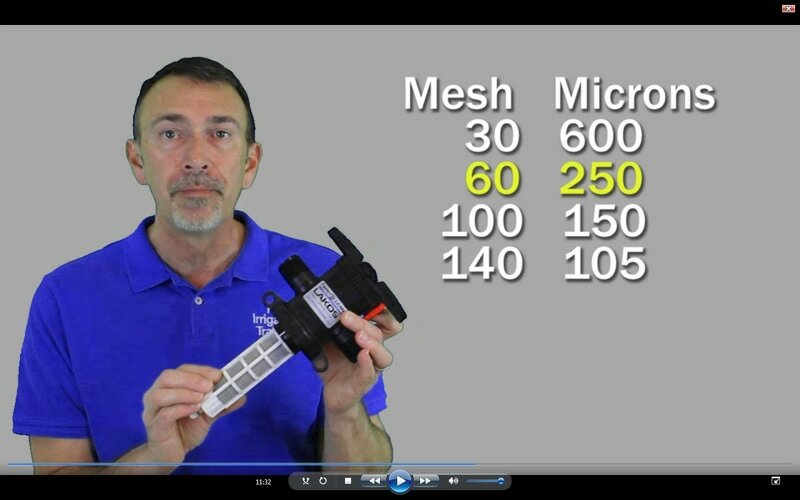 Drip Applicators (8:52) Free Preview! This course covers the form of irrigation known as Low Volume Drip Irrigation. Drip is the most efficient form of irrigation ever invented. Learn about the various products and how to properly use them. We'll have an in-depth examination of filters and pressure regulators. You'll be able to find the relevant data for selecting the right product, max amount to use, the flow rate, etc. I'll also walk you through several real world projects that irrigation techs will be involved with. You'll see a full project that includes planning and calculating all the factors, laying out drip line, installing a filter, drain valve, drippers in pots, and hanging baskets. This knowledge is indispensable to a new irrigation technician or DIY landscaper or gardener. 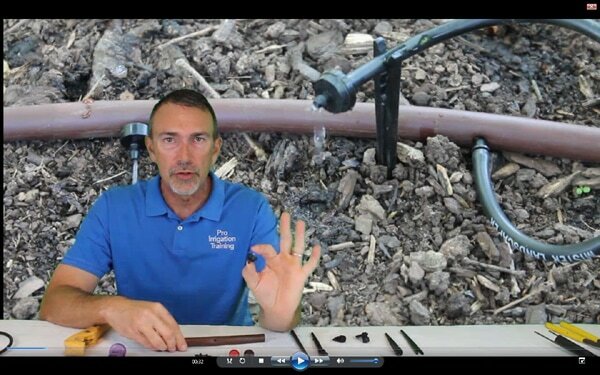 This course is part 4 of our Irrigation 101 series. The format is classroom style lectures supplemented with video of real world and simulated situations. You can download an 11 page PDF with fill-in-the blanks to keep as a field reference.